Hooton Park Circuit in Merseyside is a new location for our website for 2018 and will host Supercar driving experience days. 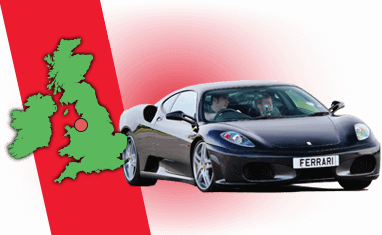 The cars available to drive should include a Lamborghini Gallardo, Ferrari, Porsche 911 Turbo, Aston Martin V8, Audi R8 V10, Lotus Evora and a Ford Mustang V8 but they are subject to availability. The approximate length of the circuit is 0.8 miles and is designed for enjoying the handling and acceleration of the cars rather than the top speed. All the fun is in the first three gears. The circuit itself was built on the old airfield and regularly hosts race meetings organised by the RAC Motorsports Association. You can order a 10-month gift voucher for any of the Hooton Park driving experiences on our website or you can book directly onto any available date. 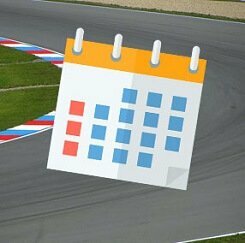 The dates available can be seen within the package or on our main driving experience calendar. Find available dates for hooton park driving experiences with our live calendar.